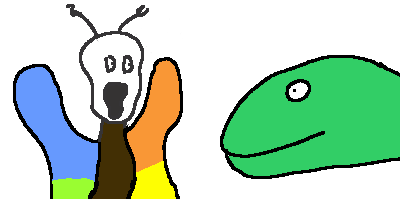 Ronny Martin gifted us with his artistic interpretation of the SuSe Lizard visiting a "friend". As you can see, Ronny is a brilliant, tortured artist. 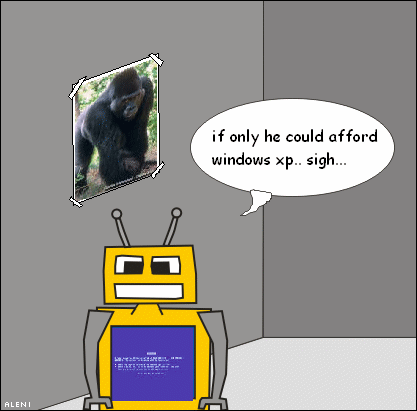 Aleni submitted another fun gift art, depicting what might happen if Hackles had built Vic with a certain OS from Redmond. Aleni made us this very funny comic, featuring Neo Preston with his favorite book. We received this extremely cool artwork from Tariq De Vore, of BAN the Basics! fame. We made this guest strip for Matt Trepal's humorous adventure comic, Fight Cast or Evade. 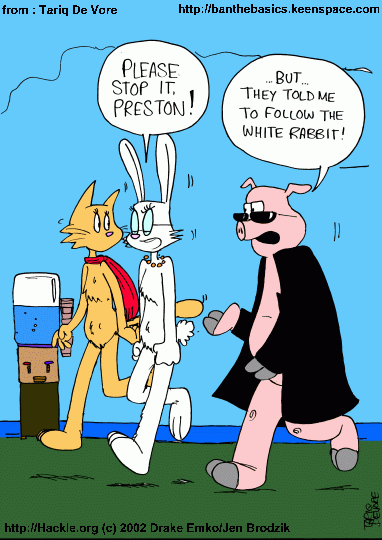 You can see it in the FCE archives here, as the second comic in a series of neat guest strips. Here is a piece of fan art we made for Tariq De Vore's excellent comic, BAN the Basics!, featuring the talented and patient teacher, Miss Walker. 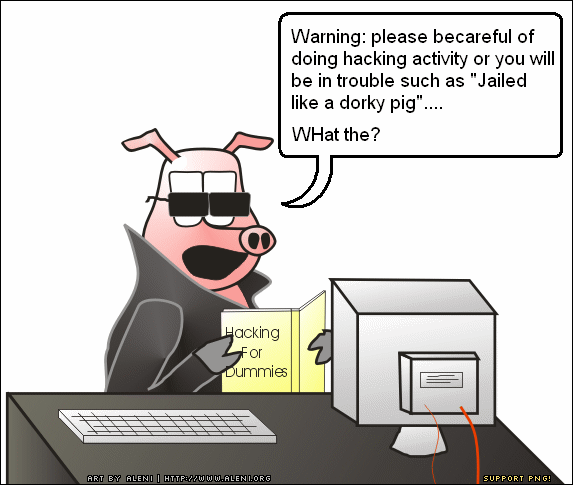 Because the h07 hackers have been such pals, we made a special comic for them. It's based on a gaim conversation I had with Phantom the other day. Apparently, cigarette machines (known as "automats") over there aren't as accomodating as those in the US, and have been a source of frustration to him and his crew. He thought it would be a good idea for a comic, and who are we to argue?